The second court case has gone to trial, not good news. Nick has lost his case, not a lot of info at the moment as he has broken his leg! News is that he may appeal. More news when we get it. One down three to go! Today one of the accused "organisers" who can now be named of course, Skott Aulton received the great news that he has won his case. The reality is that lawyers' fees still need to be paid and Skott winning his case is no indication that the other three will follow suit because the evidence against each defendant is different, although we're all hoping for the best. We still need your vital financial support to reach our immediate target, so please keep the donations coming in! Skott's just back from the Dragoff Festival in Santa Fe. Some pics and news to follow! Yesterday we had a huge number of hits, more than any other day, reaching nearly 300 visits from a usual daily average of about 20 per day which we're really pleased with anway. This is great, being the week of the Equinox. Today, by lunchtime we're already at 75 visits. This has lead to an increase in donations here and again, we thank those people who have contributed but we're still very short of the immediate target mark of 2000 Euros. Over the last week we've raised nearly 200 Euros though donations here and a couple of fund raising events. We're chipping away so if you've not donated already, please help! Please pass this blog address on to your friends and anyone else who you think might be able to help. Think of the bigger picture... free parties, Stonehenge, raves, DIY culture... it needs to be defended! Thank You & Pass It On! A big thank you to people who are donating to the fund. Please keep donations coming, your support is still desperately needed! Could people who visit the Blog, please pass the address on to as many people possible to get the name out there! Lance d'Boyle, former drummer of the band Poison Girls is very generously donating all the proceeds from the song "Dirty Work" from the single "All Systems Go" to the support fund. 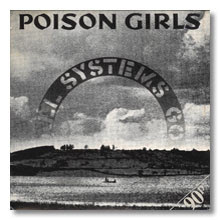 Please visit the Poison Girls website (click here), scroll down to the 6th record, download the track and make a donation! 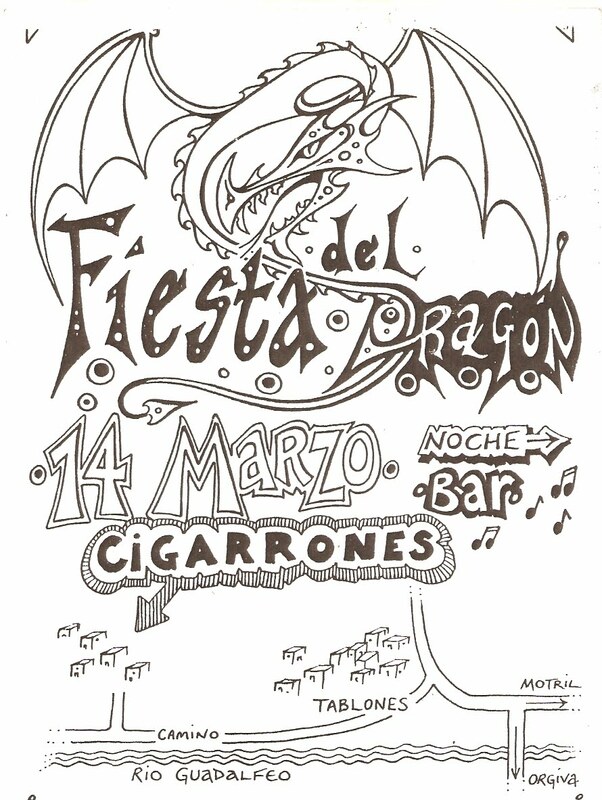 You can also read what Lance has to say about the Dragon Festival on his blog. A big thank you goes out to Lance d'Boyle! One case is currently running and another case started yesterday. As anticipated by our solicitor, the outcome was positive. 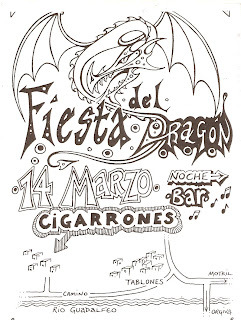 Out of 35 questions directed to the Policia Local and a witness for the defence, the key point was that in court the Policia Local admitted to receiving money for refuse collection from the Dragon Festival. This is valuable evidence against the prosecution because the Polica Local received the money from the allegedly banned festival. We will have a transcript of the 35 questions which the Policia Local and witness for the defence faced from our solicitor within a few days. On our solicitor's advice we will publish them here if possible. 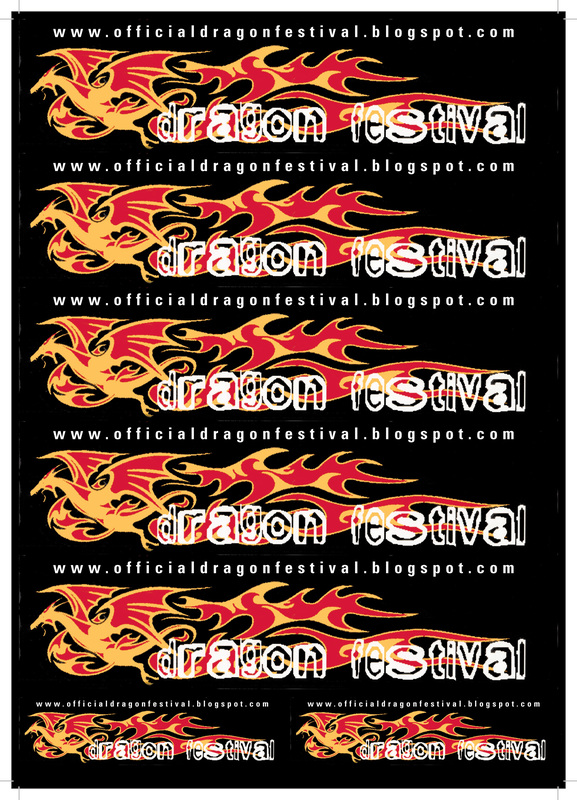 We have a few limited edition pieces of memorabilia from the Dragon Festival from over the years. To help keep funds coming in, we will be auctioning off some of the goodies on eBay. We will announce here when the stuff is available! In connection with the History article (see above link), recognition is deserved for all the sound systems that took part. We thank you for your input to the festival over the years. One of the four cases went to court 3 weeks ago. The solicitor is confident with the case. The second case goes to court on Wednesday. Check back for updates as they happen. We have had our first donation on the blog!